Click on each Therapist for a biography. Our therapists have a wide range of expertise, with different specializations in the areas of Couples Therapy, Individual Therapy, addictions, play therapy for children, and other specialized therapies for children, adolescents, and families, including therapy for blended family issues. Marcie Cramer has maintained a highly-successful psychotherapy practice for more than 29 years in Winter Park. She approaches each therapy session as an opportunity to meet and help someone very special. Marcie's core belief is that we are not sick trying to get well, but instead, hurt, trying to heal. She believes that a therapist's main job is to listen to exactly where her clients are telling her they need to grow and heal, even when, (especially when) the client does not even know themselves. While very often Marcie is booked weeks in advance she is happy to guide you to the right therapist should she not be able to work you immediately. Her biggest fear is for people who just choose a therapist at random since not all therapists have the depth of training or experience to treat all issues. Marcie very much wants to make sure that the client's therapeutic experience is one that will help them in whatever area they are struggling so that they heal, grow and profoundly change for the better so that each person can fulfill their abilities to attain happiness. Marcie's areas of expertise are couples therapy, individuals, addictions, relationships and families. Because of her wisdom, passion, and quick wit, Marcie has developed a reputation across the nation as the therapist that other therapists seek out when THEY want therapy. 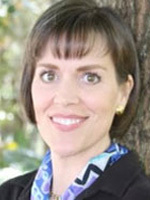 In 1984 Marcie helped to pioneer the co-dependency movement in Central Florida and founded the Adult Children of Alcoholics Treatment Center here in Winter Park, FL. Marcie received her Bachelor of Science degree from Rollins College and her Masters in Counseling from the University of Central Florida. She is a Licensed Mental Health Counselor and is also a Certified Imago Therapist. In addition, Marcie works as a legal consultant through her other project "Legal Insights", as well as consulting for large and small companies on workplace issues and getting the most from their employees. If you would like to speak with Marcie to either book an appointment or get a referral, please call (407) 657-8555 ext. 1. Phil Jones founded the Center for Brain Potential and is a neurofeedback and biofeedback specialist, as well as a Certified Life Coach. Phil helps clients to heal and improve through a combination of strategic coaching, sophisticated technical analysis of mental functioning, and direct feedback techniques which gently retrain the mind with healthier, more adaptive thought patterns. Phil is also a specialist in working with men's issues. Drawing on many years of experience with life coaching as well as his own personal experiences, Phil brings rare understanding and insight to the challenges faced by men in their lives and relationships. If you would like to speak with Phil, please call (407) 657-8555 ext. 8. Mary Liebermann is a certified Imago therapist whose primary focus is with couples wanting to have a deeper, more meaningful relationship. Mary's other expertise is with individuals, focusing on anxiety, depression, codependency, and adult children of alcoholics issues. In addition, she also helps lovingly guide people examining gay and lesbian issues, specifically with coming out, identity confusion, and relationship issues. Mary received her B.A. degree from Rhode Island College and continued on into graduate studies in social work. Mary graduated from Barry University, with a master's degree in Clincal Social Work in 1989 and has been in private practice with Counseling Services of Central Florida ever since. As well, Mary especially enjoys woodworking, remodeling homes, biking, hiking, with an appreciation of nature. And of course, Mary is thrilled about the company of her new son and two adorable beagles. If you would like to speak with with Mary, please call (407) 657-8555 ext. 4. 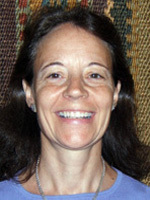 Ellen Megginson brings more than 17 years of caring and compassionate healing to each of her therapy sessions. She has the knowledge base, expertise, and experience to tackle just about any issue that motivates someone to seek therapy. Ellen enjoys working with adolescents and adults, individuals, couples, and families. She has several areas of expertise that include, but are not limited to, depression, anxiety/OCD, eating disorders, marriage/relationship problems, addictions/co-dependency, grief/loss, parenting challenges and chronic disorganization/hoarding. During therapy sessions, Ellen uses her experience, compassion, and sense of humor to assist her clients as they seek solutions and new tools to reach their goals. She believes that joy is the birthright of every human being, thus she partners with her clients to help them attain the happiness and fulfillment that each one deserves. Ellen has intensive training in the treatment of eating disorders, depression, and anxiety. She loves a challenge and works relentlessly with her clients to find a solution to even the most difficult problems. Ellen graduated from Stetson University in 1991 with a Bachelor of Arts Degree in Psychology. She earned a Master of Arts Degree in Psychological Studies from Seton Hall University in 1993. Ellen has worked in a variety of clinical and mental health care settings including a private psychiatric hospital, a crisis shelter, a juvenile detention center, and a private family/child welfare agency and now brings all that experience to her private practice. 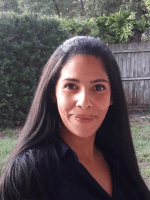 Since Ellen began working in the Central Florida Area over 17 years ago, she has been sought after for her knowledge, grace, compassion, and sense of humor. If you would like to reach Ellen, please call (407) 657-8555 ext. 7. Josh Magro is known in the community for his dedication to the healing process and compassion for others. 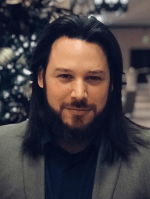 He has been working in the personal growth field for over 10 years and uses his unique experience, personality, and charisma to empower individuals to live life more courageously. He has applied his skills in a myriad of settings including therapeutic summer camps, personal growth workshops, and residential treatment centers. Josh is a firm believer in a person’s ability to heal and grow beyond any emotional pain. He uses his deep understanding of depression, anxiety, and trauma to connect with others and help them overcome obstacles. His proficiency in working with adults and adolescents ensures exceptional therapeutic care for individuals, couples, and groups. His specialties include depression, anxiety, grief and loss recovery, trauma recovery, and relationship issues. Additionally, he utilizes Neurofeedback, Internal Family Systems Theory (IFS), and clinical hypnosis techniques in his approach. Josh completed his Master’s in Clinical Mental Health Counseling at Rollins College in Winter Park. While in the program, he worked with LaAmistad Behavioral Health Services providing individual, group, and family therapy to adults who experience mental illness and substance abuse. Additionally, Josh is an international instructor for intensive personal growth workshops that empower individuals to live life more fully and authentically. In his free time, Josh is also an experienced chef and a multimedia artist. If you would like to speak with Josh, please call (407) 657-8555 ext. 8. Margie Schlesinger is a Licensed Clinical Social Worker who has over 17 years of experience in private and group practice providing healing psychotherapy to individuals, couples, and families. 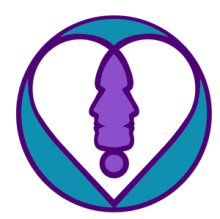 Due to Margie's dedication, knowledge, and skills, she is able to utilize compassion and humor to help people emerge and heal from such difficult issues as depression, anxiety, relationship issues, loss/grief, and traumas. Margie has several areas of expertise, ranging from healing sexual abuse, to healing the invisable grief of pregnancy (perinatal) loss. Margie is one of the few experts in perinatal loss who has gone through her own personal journey of healing as she has experienced this grief on several occasions. 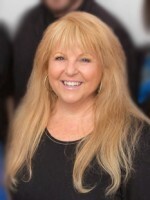 In addition, Margie also has extensive experience in the use of EFT, (emotional freedom technique) a non-invasive form of acupuncture, which she utilizes in conjunction with therapy in order to quickly reduce emotional blocks which may get in our way of living a happy and fulfilling life. Margie received her Bachelors degree from Duquesne University with a double major, and her Masters Degree in Clinical Social Work from the University of Pittsburgh. If you would like to speak with with Marjorie, please call (407) 657-8555 ext. 3. I am a Licensed Clinical Social Worker and a play therapist with 30 years of experience working with children and their families. I have a wide range of experience and resources to support children and their families. I specialize in child issues such as anxiety, depression, abuse, trauma, grief and loss and in behavioral and parenting issues. My goal is to identify the origin(s) of the issue and create positive strategies to allow the full potential of each child to develop. I provide information and effective interventions to help you and your child create the relationship you desire and deserve. During the therapy process, I include all members of a child's immediate family and any extended family members who are identified by the parents as integral to their child's growth and development. To facilitate full communication, each session is a combination of individual and family therapy. I also have been effective at working with adults who suffer from depression, anxiety or a history of abuse. My goal is to help clients identify what beliefs and behaviors grew from their experiences and how these are currently impacting their adult functioning. A variety of therapeutic methods personalizes treatment for each client. If you would like to speak with with Sally, please call (407) 657-8555, ext. 5. 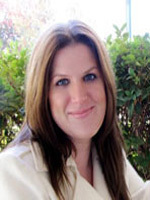 Heather Rashal is skilled in assisting individuals make changes to their lives. Known as an advocate of mindfulness and yoga in the mental health community, she brings 10 years of experience in the mental health field to her therapeutic practice. Heather enjoys working with adults and adolescents/ young adults, individuals and families. 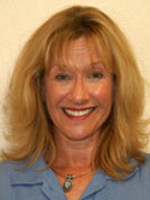 Trained in Imago Therapy, she is skilled at helping couples improve their relationship through effective communication. Heather's areas of expertise include but are not limited to mindfulness-based practices, anxiety, depression, grief and loss, clinical hypnosis, trauma and LGBTQ++ youth. Knowledge and experience from various types of mental health facilities, in addition to her personal recovery from trauma provides Heather a unique perspective on helping others heal and move forward from challenging points in their lives, when staying stuck is no longer an option. 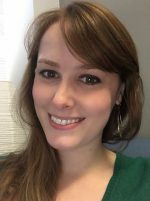 Heather received both her Bachelor's of Arts in Psychology and her Master's of Arts in Clinical Mental Health Counseling from Rollins College. Her experience in the mental health field has included a women's residential treatment center where she led groups and activities with residents of the program. She also facilitated groups, individual, and family therapy in a high school program for drug addiction and prevention. Heather is regularly involved in the personal growth and yoga communities, and educates others on the benefits of a mindfulness-based lifestyle. If you would like to speak with with Heather, please call (407) 657-8555, ext. 6. Often in life depression, anxiety, anger and feelings of loss can make you confused about your direction, purpose, decisions and faith. Finding hope and true happiness in yourself and your relationships is worth the work. In my 15 years of experience working with adults and children I have gained special insight into people from all walks of life. It would be my honor to assist you in learning how to understand your experiences from a caring and non-judgmental safe space. This exploration is critical to you finding your true self and shifting whatever is in the way of you thriving. You are worth it! I am very much looking forward to meeting you and being your guide on your next step in your journey. I received my Bachelors in Sociology and Education from Wesleyan University and my Masters in Mental Health Counseling from Liberty University. I am also proud to be fluent in English and Spanish. If you would like to speak with Alyssa, please call (407) 657-8555 ext. 9. From a young age Lindsay Kincaide has viewed being a psychotherapist as a calling. She feels profoundly fortunate to have a career that allows her to help others achieve happier and empowered lives. Lindsay approaches each of her clients with a deep sense of respect, empathy, and curiosity, so they can embrace treating themselves with similar appreciation and gentleness. She believes that many people seek therapy because they feel lost in an often chaotic world and she excels at showing them their inner strengths, wisdom, and direction. Lindsay is fully committed to providing a safe, compassionate space that encourages growth, creativity, and healing. She offers innovative and personalized services for adults, adolescents, children, and families. She knows that therapy is a journey towards greater connectedness, awareness, and acceptance. She employs the expressive arts and Internal Family Systems to assist her clients in discovering valuable insights that transform their lives with fulfilling experiences and relationships. With children, Lindsay uses child-centered play therapy techniques that allows their unconscious to tell their story when sometimes they are not able to. Lindsay assists all of her clients in the healing process; from trauma, especially abuse and neglect from childhood, overcoming depression and anxiety, and building the foundation they need to show up fully and authentically in their lives. In her free time, Lindsay enjoys baking, painting, and writing. 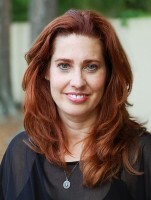 Her young adult novel, The Waiting Tree, was published in 2013. If you would like to speak with Lindsay, please call (407) 657-8555 ext. 2. Kim Raby started her therapeutic journey at the age of 14, when she began working on her own healing process. Growing up in an alcoholic family, she soon realized the effects of family dysfunction and how it persists within relationships and adulthood. As a result, her passion is now to bring healing, insight, and growth to other individuals who not only struggle in relationships, but those who struggle alone. Kim's specialties in therapy include Adult Children of Alcoholics, Adolescent Therapy, relationship issues, depression, and anxiety. She is currently becoming certified in Imago therapy to continue to facilitate healing Dialogues between couples. 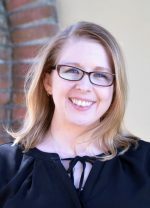 Kim completed her Master's Education at the University of Central Florida in the Counselor Education program with concentration on Mental Health and Marriage and Family Therapy. While in school, she worked with the Center For Drug-Free Living's New Horizon program, offering individual, group, and family therapy to adolescents in need at a local high school. In her spare time, Kim enjoys cooking, running, and spending time with family and friends. If you would like to speak with with Kim, please call (407) 657-8555 ext. 2. 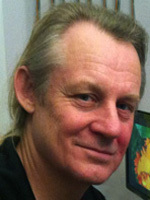 Preston Patterson is passionate about helping people find new tools, skills and healing for each clients’ very unique challenges. His passion is in guiding his clients through processing their thoughts, feelings, and relationship patterns to discover what is no longer working for them and where they need to grow and change. He understands how much strength it takes to get through the most basic daily activities when weighed down by our struggles. Therefore, he admires those who have wisdom, courage and strength to seek guidance in taking their next step toward a better life. Preston is dedicated to treating his clients with compassion, respect, and kindness. 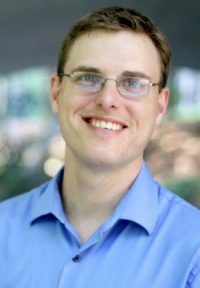 Preston has expertise in the following areas: working with individuals on the Autism Spectrum, play therapy with children ages 4 AND UP AND ALSO in treating those with depression/anxiety, addictions/ACOA, men’s issues, chronic illness/pain and spiritual abuse. From his own personal journey, he also provides guidance and emotional healing to those who are on the path to living gluten-free. Along with using psychotherapy, Preston also treats clients with neurofeedback, which improves communication between various parts of the brain to help decrease mental health and behavioral symptoms. Some people are satisfied with the reduction in their symptoms with relatively few sessions, while others choose to continue with psychotherapy, often experiencing positive changes more easily than they did before engaging in neurofeedback. Preston graduated from Palm Beach Atlantic University with a Master of Science degree in Counseling Psychology. In his personal life, Preston enjoys meditation, creating artwork, fishing, learning, creating fun, nutritious ways to eat gluten-free, and of course, spending time with his wife and 2 dogs. To connect with Preston to take your next step in your healing journey, call 407-657-8555 x9.